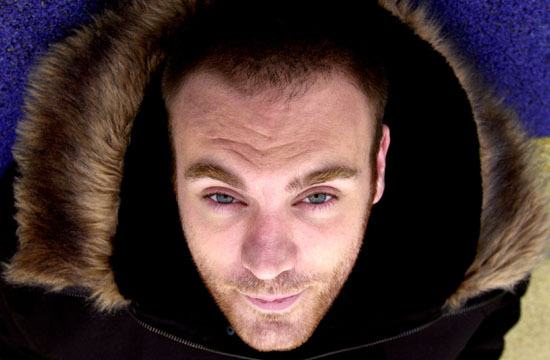 With a series of best-selling 'Prototype' mix CDs under his belt, a Saturday night show on Radio 1, a name as the first to be resident at both Cream and Ministry of Sound, an ongoing monthly New York gig as well as his own club night in London, Seb Fontaine clearly belongs among the elite of international Djs. But elitism is not in Seb Fontaine's vocabulary. In fact, you could argue that the reason the 31 year old Londoner has come so far (apart from excellent taste in music and deft spinning skills, of course) is by nature of his affability, modesty and sense of perspective. "We watch plastic go round," is how he describes the DJ's job. "Alright, it's slightly more than that, but I just feel that if you separate yourself from clubbers - if you become so much more important than they are - how can you understand what they want and how can you be part of it?" It's a rhetorical question: Seb has been a part of it for fifteen years now. His career choice may not seem surprising when you allow that he was conceived on the island of Ibiza, to a French restauranteur and a sojourning English woman. But the boy they christened Jean Sebastian Fontaine claims that "I never decided to be a DJ." Born and raised in west London, his heroes were Chelsea Football Club (his son's middle name is Stamford) and the bands of the 2-Tone label. To this day, he claims that "If I could swap being a DJ now to be in Madness, I would." That opportunity never arose. Instead, a teenage Seb talked his way into a gig at Hammersmith Town Hall on the lie that he'd already DJ'd "loads of times," after which he landed a regular slot at Crazy Larry's on the Kings Road where, like many of his peers, he played old soul and funk alongside new American hip-hop. From there it was onto The Fridge in Brixton, and The Wag in Soho, along with the occasional warehouse party where "If the promoter hadn't run away with a couple of strippers before you finished your set, you were lucky." As the British rave scene exploded toward the end of the 80s, Seb was at all the clubs, but tucked away in the back rooms, still playing rap. His epiphany? "Walking into the main room one day and hearing A Guy Called Gerald's 'Voodoo Ray' and thinking, 'What the hell is this record? It's unbelievable.'" He also noted the difference in audience. "UK hip-hop went through a moody stage at one point. You'd be DJing and instead of people dancing it would be crews of guys hugging the walls. And I would just spend more and more time in the house room where there'd be girls dancing on the speakers and semi-naked people swinging from the chandeliers. And I was thinking 'This is where I want to be, I want to be here." Given how many DJs were undergoing a similar conversion, Seb's progress into the house rooms was gradual: gigs at Subterania with Jeremy Healey and Norman Jay, a residency at The Cross, guest slots where he could get them. And finally, alongside DJing and promoting partner Craig Richards, his own Saturday night at the Hanover Grand in central London under the club name Malibu Stacey. At which point it all came together. Seb and Craig found themselves with the hottest night in town. And it lasted almost four years. Malibu Stacey was relentlessly glamorous, refreshingly exuberant, and Fontaine played appropriately optimistic house music to match. Yet while the night put his name on the map, it also typecast him. "For a long time I got tarred with this 'glam house' brush. It's just what everyone was doing. It was trannies and feather boas. It took a long time to shake that moniker." He did so the only way he knew how, by working his way out of it. A residency at Ministry of Sound's 'Frisky' night certainly helped; then, when Paul Oakenfold abdicated his spot at rival night Cream up in Liverpool, Fontaine's name was put forward as replacement. The offer was too good to turn down, and Seb became the first DJ to claim both 'super clubs' as home turf. Not surprisingly, other opportunities quickly sprung forth. Seb took a radio gig on Britain's dance station Kiss FM, began playing Ibiza, burned up and down the British motorways on weekend nights, and moved into mix CDs. He's done a couple of best-sellers for Cream, but came into his own with the 'Prototype' series released by Global Underground, which gave him his own 'resident' CD status rather than 'guesting' for other brands. Over four increasingly popular 'Prototype' releases, Seb built a global audience by balancing the appealingly commercial vocal with the resolutely underground instrumental. Still, by the time of the fourth double mix, "I ended up thinking, how many Prototypes can you do before you have the finished article?" Similarly, he was becoming frustrated by dance music's household acceptance. "Clubbing was getting so big and so popular and so brand-led we were in the danger of being on the back of cornflake packets," he says. For a while, "It just felt like you were expected to play the standard ten tunes everywhere you went. And if you didn't, the DJ after you would play them and would be the hero while you were the villain." Fortunately, circumstances allowed Seb to reposition himself. Radio 1 hired him away from Kiss, initially to fill in for other Djs and for road trips, and then for a prestigious Saturday night slot from 7 pm-9 pm. (The show attracts almost a million UK listeners, is syndicated in five countries, and is available all week on the Radio 1 web site.) He quit Cream at the end of last year, which has allowed him to engage in more international travel, and that in turn has widened his musical perspective and opened his ears. Seb now has a monthly New York gig with Subliminal Sessions, while he has returned to The Cross in London to launch his own monthly night Type. "It holds all the ethics that I hold important about dance music at the moment," he enthuses. "It's a club that holds 1000 people. And it's all split up. Low ceiling, great sound." Guests have included Timo Maas, Slam, Circulation, the key figures in what Fontaine calls "A new sound coming through, like electro and house married, really dark sounding but very exciting too. . Clubbing is meant to be fun. It doesn't need to be a sell-out but there needs to be some energy." A similar mindset governs his radio show, for which Seb understands how fortunate he is to be with the BBC. "You're essentially federal employees, and basically you're given a white paper that says Play Good Music. We have no commercials, we have no sponsors, we're not dictated to. You're not told where you should be putting anything other than the fact you're chosen for your ability and told to do what you do. Being with the BBC is a fantastic opportunity to put forward where you think music should be going." While involved in the occasion club cut as either Cequenza (for the "bigger sounding tracks") or Sizzlak (for the "funky house music"), Seb has shied away from remixing opportunities, both to avoid becoming jaded by overexposure and because he's a family man. He and his wife/agent Vanessa are expecting their second child in July 2002, which will mean even less sleep than usual for several more months. "Sometimes I feel like I'm walking a tightrope," Seb admits, "but it seems to work." It does. And if you want to know why it works, just listen to him talk. This is a man who knows his music, appreciates his job, but best of all, understands his audience. "For every person who says 'clubbing was better five years ago,' there's someone new coming into it who will remember last Saturday like we remember 1990," says Seb. "Everyone has their time and place. Everyone has their moment - a year or two when everything is the most exciting thing in the world. And that's cool. As a DJ, you've got to try to help people have their moment all the time."